Aching with longing and nostalgia, The Visions paint a poignant picture on new single “Lookin’ for Ya,” whose dark tone and warm pulse lock us in bittersweet memories of the past. We all deal with loss in different ways, searching for answers and digging through emotions as we come to terms with change. The Visions’ new single “Lookin’ for Ya” wraps us in melancholy waves of haunting memory, sadness, and separation. Like the moon down on the earth. Pass the butter knife, shake your skirt. say you love these summer nights. Atwood Magazine is proud to be premiering “Lookin’ for Ya,” the latest single from emerging Brooklyn-based trio The Visions. Consisting of brothers Ben and Michael Sugarman and longtime friend Ryan Brooks, The Visions bring a soulful and eclectic passion to the world of alternative-R&B – a new genre name that doesn’t really mean anything in particular. Truth be told, the music speaks for itself: “Lookin’ for Ya” is dark and warm, pulsing and propulsive – a poignant song that bravely blends The 1975 and Sir Sly with Prince, without actually taking from any of the three camps. Past the rubble though I know it hurts. “Lookin’ for Ya” finds that perfect blend of personal and universal, taking something we can all relate to and zeroing in on one unique, individual perspective. Somethings lost and it can’t be found. I had it but I put it down. Grass is always greener but I’ll wait around. Tell me, can you see her now? Ask her if it’s over now. As we get older, there’s just that much more of a past for us to look back on with fondness and a faint smile. The more we have, the more we have to lose. There’s nothing wrong with embracing a memory, but we risk missing out on the present if we dwell – and then, we end up losing out on making new memories, enjoying new moments, and experiencing the fullness of life. This applies to losing a loved one, ending a relationship, and more. 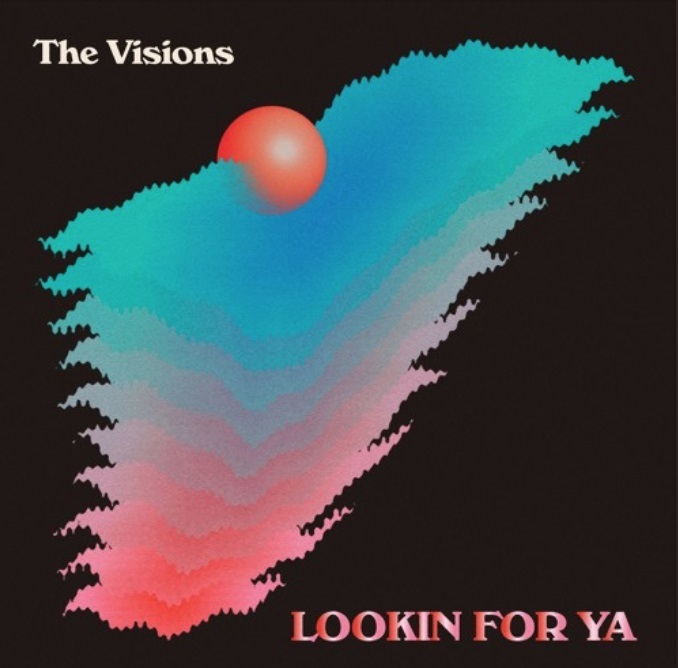 The Visions sing, “I’m looking for ya – trying hard to find the line, separating you and I.” In a sense, they’re attempting to reconnect, despite the knowledge that both parties have moved on. We’ve all looked back with hindsight to try and understand how things went wrong, and where we could have done better. A song like “Lookin’ for Ya” is a poignant reminder to learn from the past, without living in it. Stream The Visions’ latest single exclusively on Atwood Magazine, and stay tuned for more from the New York trio in the year to come.